One of our favorite lunch specials comes in the form of an all you can eat buffet. 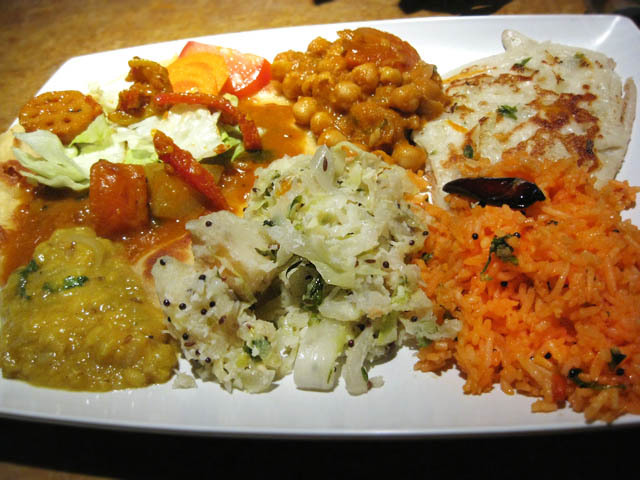 Kosher/vegetarian Indian restaurant Tiffin Wallah (127 East 28th Street) offers diners more food than they'd ever want to consume Monday-Friday from 11:30AM to 3:00PM. The best part is... it's damn tasty! I mean, are you a PR firm or are you finding us SPECIAL deals? An every day vegetarian buffer? COME ON!! !